Students across all University of Saskatchewan programs will shell out more for tuition next academic year. Tuition across campus is increasing an average 4.8 per cent, according to the university, which released its 2018-19 tuition rates Wednesday. The percentage is double last year’s increase of 2.3 per cent. “There are some students that have said they might even choose to go to different universities. That’s something that obviously concerns us at the students’ union,” Deena Kapacila, vice-president of operations and finance at the U of S Students’ Union, said. University administrators said the hike will go towards an improved education for students. “It’s improving or maintaining the quality and standards of our education that we have,” Anthony Vannelli, the university’s provost and vice-president academic, said. Vannelli said there will be more scholarships this year to help offset the hike. Education, law, medicine, veterinary medicine and graduate students will be hit hardest, paying tuition five per cent higher than this year’s rates, while students in the pharmacy doctorate program will see the lowest increase, at two per cent. Students in the College of Arts and Science, in which nearly half of the university’s students are enrolled, will pay an average $314 more — or 4.7 per cent more than the 2017-18 rates. “At the end of the day, I think it really boils down to that operating grant from the provincial government, because that’s decreased year upon year. The university has had to find different ways to find funds,” Kapacila said. She said she hopes the government will not slash its funding to the university in the upcoming budget, set to be released on Tuesday. 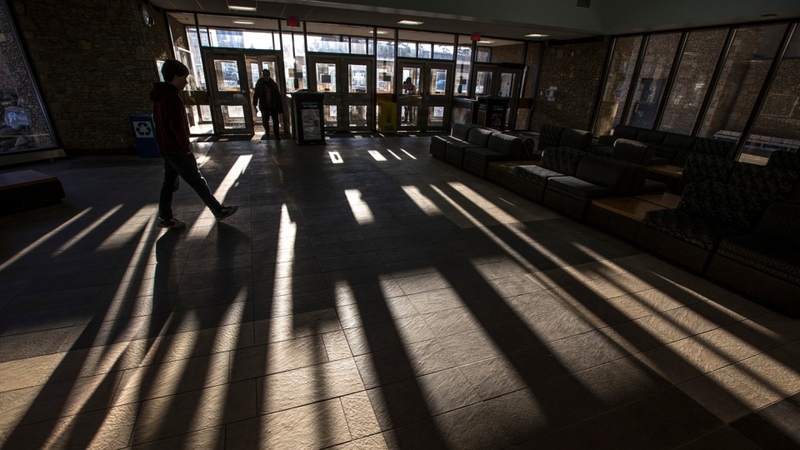 A student walks inside the Place Riel building on the University of Saskatchewan campus.